Stretch out your weary bones from late night fireworks. 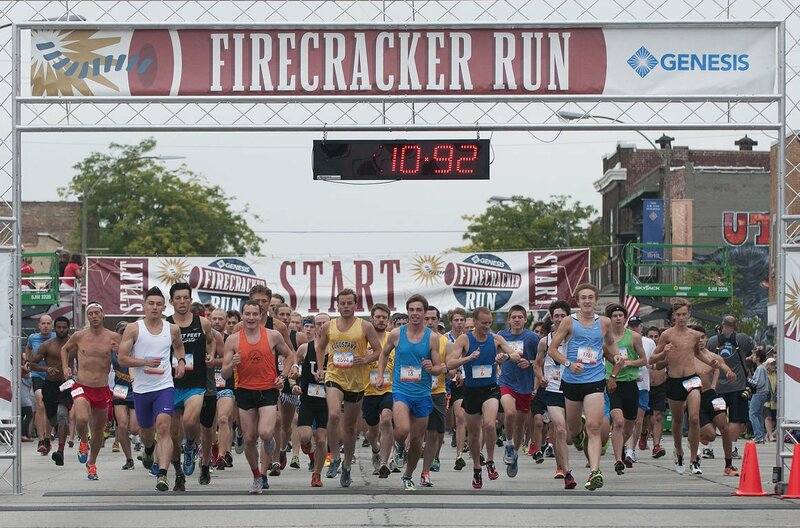 Lace up those running shoes, and fuel that body with water and food (and maybe bring a portable fan post-race) because it’s time for the annual 4th of July Firecracker Run in downtown East Moline. Every June for the past 10 years, my husband has completed in the Quad Cities Triathlon at West Lake Park in Davenport, IA. Each year when we go to cheer him on, I am reminded of all the unique recreational opportunities in the Quad Cities. Doing a triathlon at West Lake is pretty fun, but just hanging out there is something else you should try. I recently had the chance to visit Element Tea & Wine Lounge located at 5345 Belle Court, Suite 4 in Davenport, Iowa. Since opening earlier this year, I have heard many good things and decided to check it out myself. I took a break in a very busy day and it was a perfect choice. It was a peaceful, quiet environment and with a helpful and respectful staff. The Quad Cities offer a wide variety of theatre shows during Summer 2017 from Shakespeare to Disney and from the West Side to the Rock of Ages. You can applaud your way through the summer months out under the stars or inside under the lights. The venues and prices vary, but the history and creativity are certain!